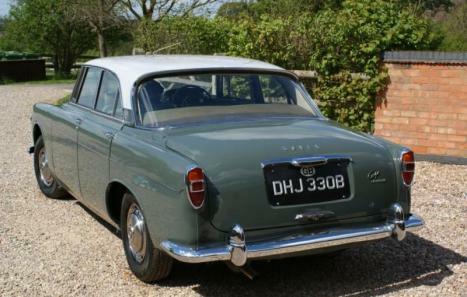 Registered on the 1st Jan 1964, this vehicle comes with the original registration document. One owner from new until 2000, during which time the history with the vehicle suggests the car was in storage from 1975 until 1982. This is supported by the remarkable condition of the car. Since 2000 it has had 4 further owners including me who acquired the vehicle in July 2005. The vehicle has just undergone significant restoration by Rover specialists to bring it back to concourse condition. The engineers were surprised by the robustness of the vehicle, repair panels were inserted into the usual rear wing forward ends and d posts and front wing trailing edges. New outer sills have been fitted. A small amount of lead loading was carried out to the upper rear wings. Photographs of the extent of repairs are available. 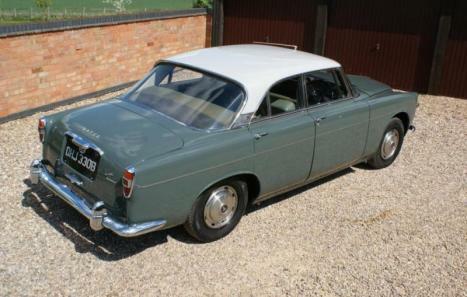 The car was repainted in the original colours of Juniper Green and Stone Grey. All door, front & rear screen seals were replaced. The underbody has been resealed. The front and rear bumpers were re-chromed and are in perfect unmarked condition. The remaining brightwork is in good condition. Internally the car has benefited from new carpets and front door panels, the internal door wood veneers have been re finished. The drivers seat has been re sprung and a new section to the backrest fitted. 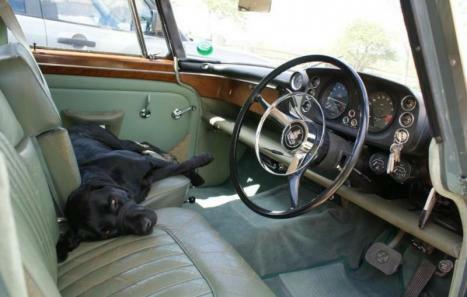 The car retains the original radio in working condition and a full genuine tool kit . The engine bay remains mainly un molested with only a new radiator and hose being fitted. The bonnet lining was also replaced. The car starts and runs beautifully. The car is tax exempt and will come with a full 12 month MOT. The car is located in Warwickshire and is available for any inspection. Further Photographs are available on request & im happy to answer any questions you may have. 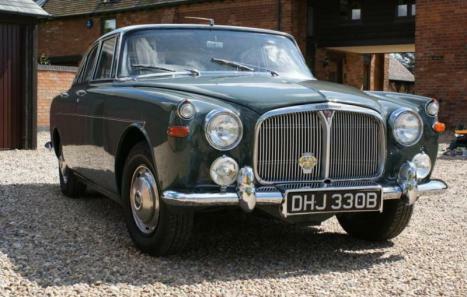 If you are contemplating p5 ownership this vehicle is a very affordable genuine classic.